There are several ways to say “beautiful” to a cute girl in Japanese. Kawaii and Kirei are two popular words. When you say "Kawaii," it usually means that a person or a thing is cute or adorable. But when you say "Kirei," you usually refer to a pretty or beautiful person. きれい（綺麗）. “Kirei” meaning in Japanese is “pretty/beautiful”. And now, we are proud to introduce here in Philippine market, the Kirei Glutathione by MDP World. 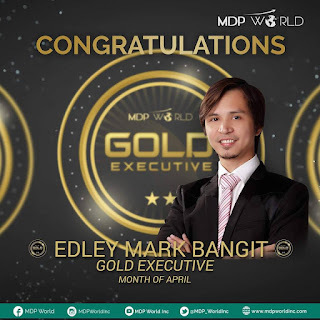 With a fair and competitive price, it will surely trend in the market especially since MDP World, Inc is using an eCommerce platform. This platform will enable the seller to market the product using a Self Replicated Website (SRW) . It's an online shopping engine similar to Lazada and Shoppee, wherein the company will be responsible for shipping the customers' orders via courier (LBC, JRS, etc.) or through Cash-on-Deliveries (COD). Meaning, more time for the members/sellers to market the products and for their families! Literally a work from home business! Rose Crysta is a patented ingredient, so it will only be available exclusive for MDP World! As we age, our metabolism slows and the quality of our skin decreases. With KIREI GLUTATHIONE, you can now achieve a younger and moisturized skin from within. It is exceptionally formulated with the purest and most powerful ingredients from Japan that work in SYNERGY to give you beautiful, nourished and glowing skin. Definitely improves UNEVEN SKIN TONE, SAGGING, FRECKLES, DULL SKIN, DRY SKIN and other skin problems caused by sun's UV rays, stress and pollution. Leaves your skin white, smooth and glowing because of our anti aging whitening ingredients. HOW TO TAKE KIREI GLUTATHIONE CAPSULES? Take Kirei 20-30 minutes before/after meal. Morning for best body absorption and protection (antioxidant). Take 2-3 Capsule daily or as prescribe by a physician. Drink atleast 8-10 glasses of water a day. We will be posting testimonies soon! So make sure to follow us or bookmark this page. 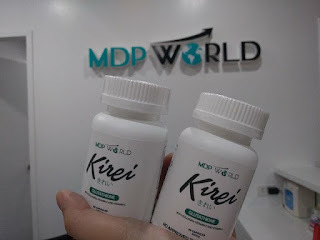 Want to know more about Kirei Gluta or the MDP World, Inc business?